Pentagon mad-science division Darpa is helping build thought-controlled robotic limbs, artificial pack mules, real-life laser guns and "kill-proof" soldiers. So it comes as no surprise, really, that the agency is now getting into the flying-car business, too. Darpa hopes its "Personal Air Vehicle Technology" project, announced yesterday, will ultimately lead to a working prototype of a military-suitable flying car -- a two- or four-passenger vehicle that can "drive on roads" one minute and take off like a helicopter the next. The hybrid machine would be perfect for "urban scouting," casualty evacuation and commando-delivery missions, the agency believes. Flying cars have been a just-around-the-corner promise for decades, of course. Today, several companies swear that they are just on the verge of manufacturing such machines. Terrafugia claims its folding-wing mini-plane will be ready to deliver by 2009. Pal-V has a three-wheeled gyrocopter thingy. Urban Aeronautics promises to do the whole thing without any wings or rotors at all. And let's not even get into the personal flying saucers. 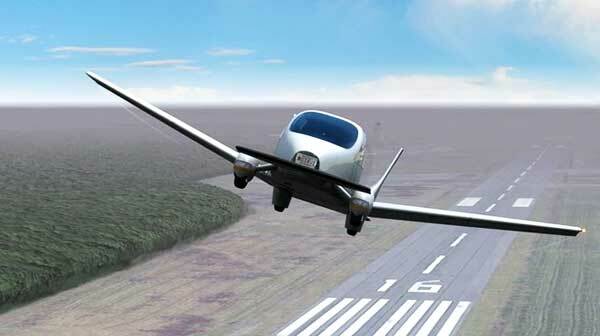 Darpa says its Cessna-sized combo vehicle should be able to cruise at 60 mph on land, and 150 mph in the air. It should be able to stay aloft for two hours on a tank of fuel. "The challenge," the agency says, "is to define the major components of such a vehicle that would be suitable for military scouting and personnel transport missions, yet are small enough, inexpensive enough, and easy enough to operate that it can be widely used." To make the flying car work, Darpa believes, makers will have to use "morphing wings" to ease the transition from road to sky; "optimized disk loading" propulsion, "for the combined fly/drive mission"; and strong flight control software. Darpa isn't making an enormous commitment to the flying car, just yet. This is a project aimed at small business; contracts of this type are typically under a million dollars per year. But maybe, with a small Pentagon push, the flying car dream could finally clear the ground.